A new book by father and son team Alex Sherman and MIke Sherman. Click here to order it now from Amazon! 52 Things We Wish Someone Had Told Us About Customer Analytics provides 52 real-life anecdotes that illustrate important learnings about customer analytics. It draws from the worlds of big data and customer insights. It is our contribution to help managers do a better job using customer analytics (what to do and what not to do) so that the analytics actually makes a difference. Books on customer analytics (data science, business analysis, market research, whatever you like to call it) primarily exist in two categories: as academic texts, which discuss theoretical approaches to data analysis problems; or as technical texts, which teach the statistics or computer programming required to conduct an analysis. As the focus of these books is on analysis tools and techniques, fictitious examples are often used to explain main topics. What’s missing are real-life, practical stories, tying analysis directly to business value. That is the objective of this book. This book is for anyone who uses customer information to make business decisions: CMOs, CEOs, product owners, consultants, and the people who provide that information, e.g. data scientists, market researchers, business analysts, statisticians. By tying impact to tools and techniques, through real-life stories, we hope to help decision makers better understand how to use customer data while helping data analysis providers understand how to create output that end users will value. 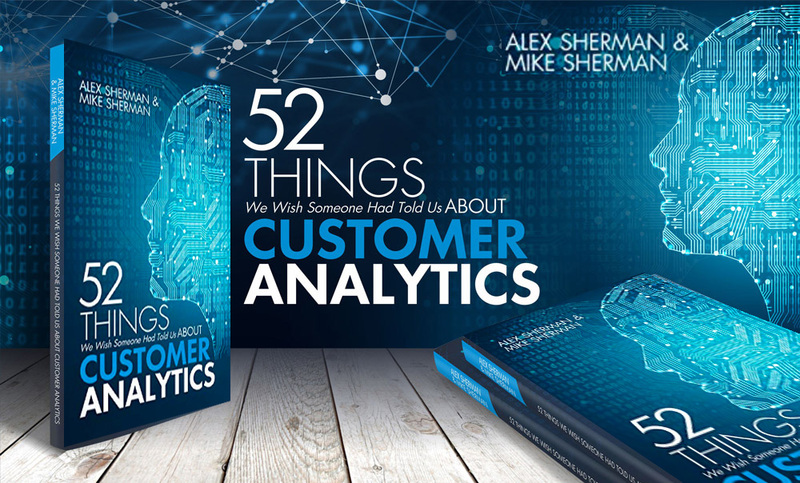 “Mike and Alex have delivered an entertaining and highly readable romp through many aspects of customer analysis—from qualitative focus groups through to terrabytes of big data; and utilizing many real-world examples to reinforce their points. “Significance. Reliability. Confidence. These and other such terms can be a mantra for both suppliers and buyers of data and analytics. Whether it be big data, qualitative research or something in between; sampling, statistics and “findings” are often the drivers of customer or business analytic exercises. But what about relevance? If the results cannot direct business decisions, what does it matter how “accurate” they are? Used correctly, such analytics are an enormously powerful driver of business performance and profitability. But only if the findings have business salience or business significance. Otherwise, aren’t they just another type of BS?